All year, my goal has been to share one book the boys are reading and loving from the library and one book I'm reading. 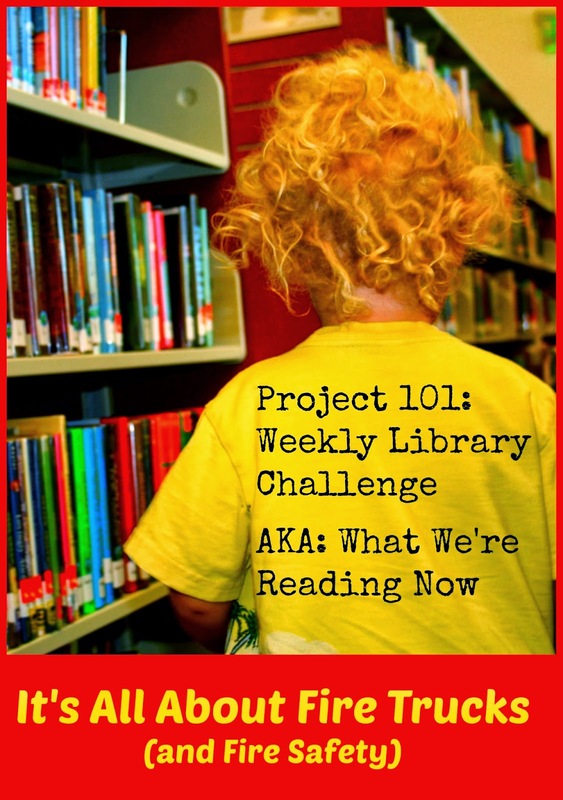 I call it Project 101: Weekly Library Challenge. At the end of the year, we will have shared 101 books in honor of our library's 101st birthday. Since Fire Prevention Week is October 6-12 and the entire month of October is also devoted to fire safety, I thought I'd both a Fire Engine book and a Fire Fighter book from the library that the boys love. Wild Thing is a Maisy fan. 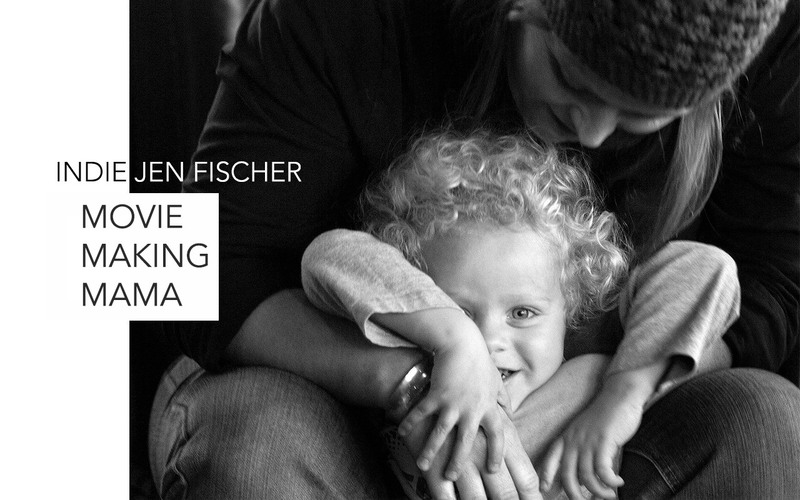 In fact, Maisy Goes to Preschool, proved to be quite helpful when he first started preschool in getting him to open up and share with us about what he has been doing at preschool. 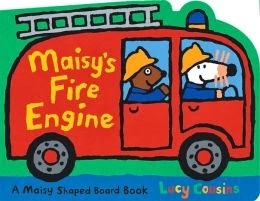 He also loves trains, trucks, cars -- basically anything that goes, so Maisy's Fire Engine made perfect sense for him. In the book, Maisy and her friend save a cat from a roof -- it's a simple and fun book that the boys really liked. I added it to my updated Fire Truck Sensory Bin I put together for he and Caterpillar this year as we focus on learning about Fire Safety for Fire Prevention Month. The other book in the bin is one we own -- Clifford The Firehouse Dog, which has proved very helpful in discussing fire safety tips with Wild Thing. He loves seeing Clifford Stop, Drop and Roll! Yesterday, I shared our sensory bin, as well as get some valuable fire safety tips from a fire fighter and resources that feature other great fire safety books and activities. 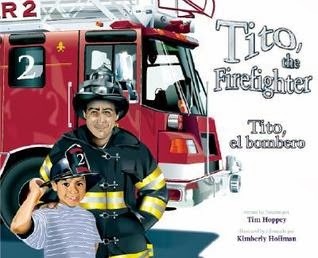 Another fire-themed book we enjoyed from the library recently was Tito, the Firefighter Tito, el bombero, a bilingual book that tells the story of a fire fighter and the little boy who helps him. I'm always looking for engaging bilingual books to read to the boys and this one was a good selection and would be a wonderful book to add to your fire fighter book list! As for what I've been reading, I'm in the middle of a biography of sorts, but will share about it at the end of this week, as I felt it would be more appropriate to share a different type of book/resource from our library, which is part of the County of Los Angeles Public Library system. 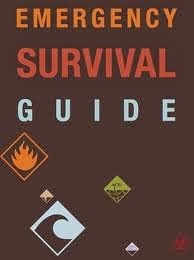 At every library branch, the County makes available a free Emergency Survival Guide. Our branch has several copies and they are free for anyone to take and keep. I suspect that most libraries provide something similar. Our guide includes important tips about creating a fire escape plan as well as a space to draw a diagram of that plan. The guide also offers areas for writing emergency contact information and key contact numbers for various County services, as well as tips for preparing your home for a potential emergency, a list of essential emergency supplies families should have (and where supply kits should be kept), as well as other safety tips, many that are specific to our area, such as tips regarding wildfires, which can be common, unfortunately, in the part of Southern California where we live. If Fire Prevention Month has you thinking about making sure your family is more prepared for an emergency and/or natural disaster and has a fire safety plan (and an emergency/disaster plan) in place, check with your public library to see if they have a free resource like this, which can be quite helpful. Our county also provides the guide for free online as a pdf. If you have a favorite fire truck/fire fighter or fire safety book, please share it in the comments or leave a link to any related blog posts or resources you might have. I have been pinning fire truck and fire prevention week activities to my Things That Go Pinboard and would love to add yours. You can also share it with me at The Good Long Road on Facebook.